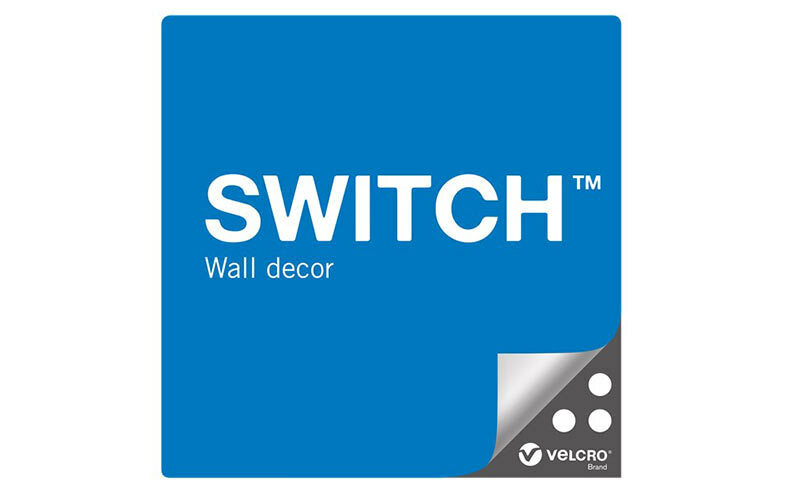 PARIS – MARCH 27, 2018 – Velcro Companies today announced the launch of its new VELCRO® Brand SWITCH™ Wall Decor solution that provides businesses with an easy-to-use alternative for hanging and displaying large-scale, branding and promotional signage. With the VELCRO® Brand SWITCH™ Wall Decor system, retailers, marketers, advertisers and tradeshow exhibitors can rapidly change and update their signage to communicate more updates, offers and information to their customer base. Velcro Companies is a technology-driven, global organization providing fastening solutions that solve problems in simple, elegant and surprising ways for businesses and consumers around the world. We have a heritage of innovation spanning more than 50 years and own over 400 active patents and numerous trademarks, including the VELCRO® trademark, which is registered throughout the world. We develop and deliver solutions for customers through an integrated production and service system that includes manufacturing locations in the United States, Canada, Mexico, Uruguay, Spain, Belgium and China and sales offices around the world. To find out more about our company, visit www.velcro.com. Wollux has been a trusted supplier of promotional textiles for over 70 years and is the market leader in the Benelux countries. It produces high-quality, durable promotional materials at competitive prices. The company’s hard-wearing products can be used indoors and outdoors and include custom flags, displays, banners or parasols. Wollux’s global distribution is managed by sales operations in Belgium, the Netherlands, France, Spain and Germany. To learn more about Wollux, please visit www.wollux.com.